Originally blended for one of America's oldest tobacco shops...Ned's 5x60 is here and available for all to enjoy. If you like our other Cameroon blends, you will love this similar blend in a 5x60. I have always loved a good Cameroon. As I light the 5 by 60 Ned's I am hit with a mild pepper draw with seemingly little real flavor underneath. But by the third draw, the pepper has suddenly diminished revealing a deliciously spicy Cameroon taste that rivals the best cigars I have ever tasted. The pepper was just enough to keep my tongue tingling all the while the flavor of the wrapper on the back of my tongue was just the nicest balance I could have hoped for. I can taste the Ligero as well and it completes the cigar. This is the second panacea I have tried and its my favorite so far. Excellent morning cigar for me. I usually smoke it when I'm walking the dog. Flavor description is dead on with creamed coffee and slight spices. Nice packaging that came with two large boveda paks. Only issue I had was canoeing. 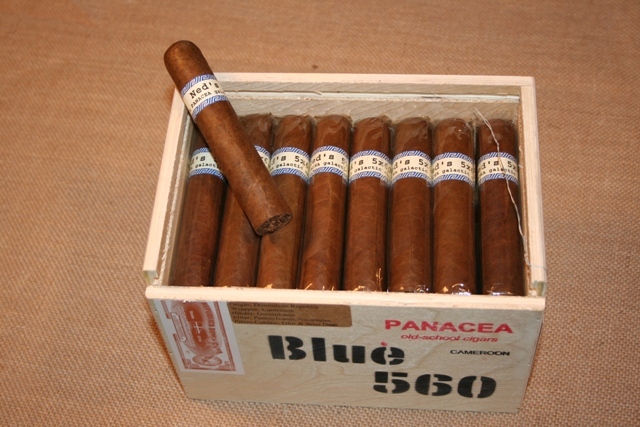 I've had many different cigars that had PA broadleaf as filler y/o wrapper and they tended to have burn issues. But eventually it does correct itself so it's not so bad. It's also possible the ones I have smoked were right underneath the humi-paks so maybe one side was too humid compared to the other side. In any case when it burns well it tastes excellent.